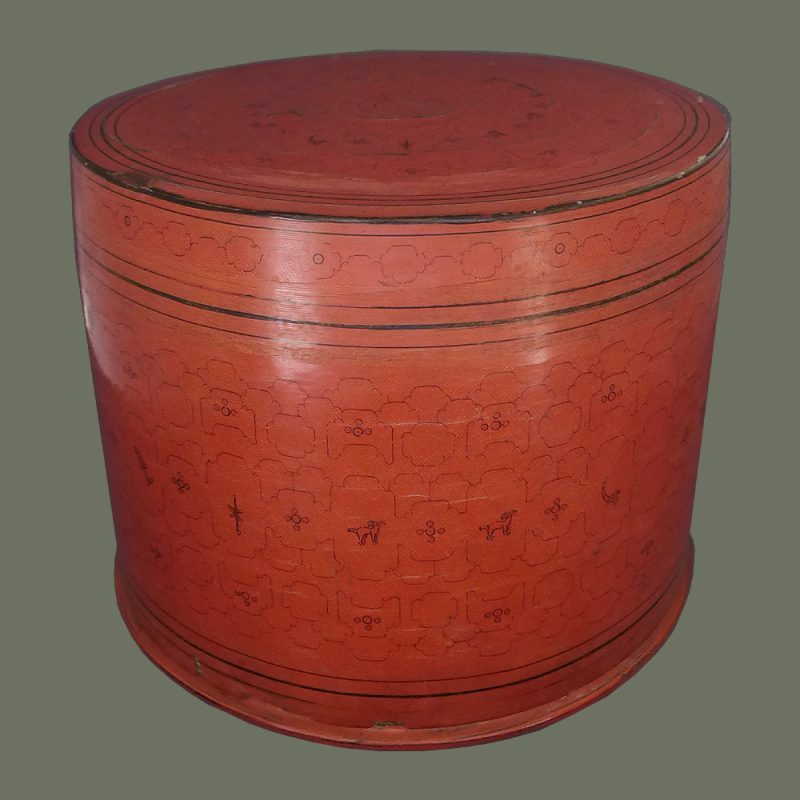 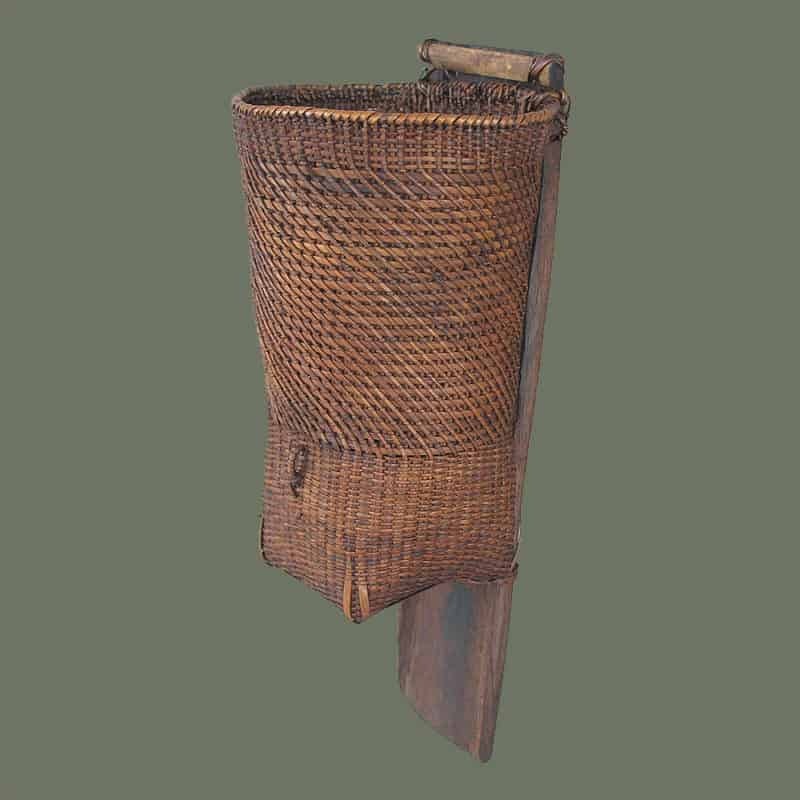 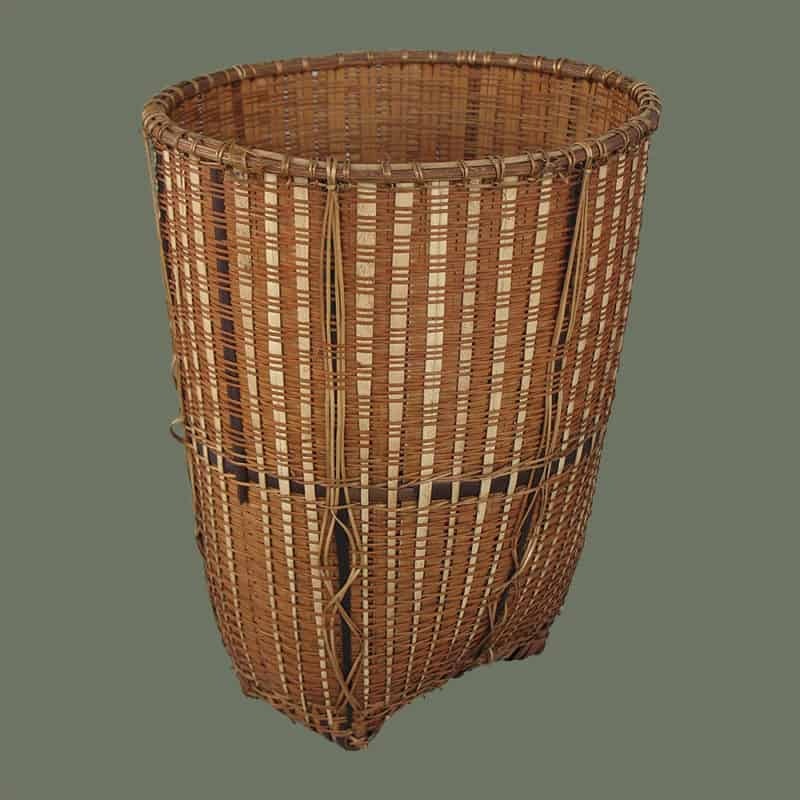 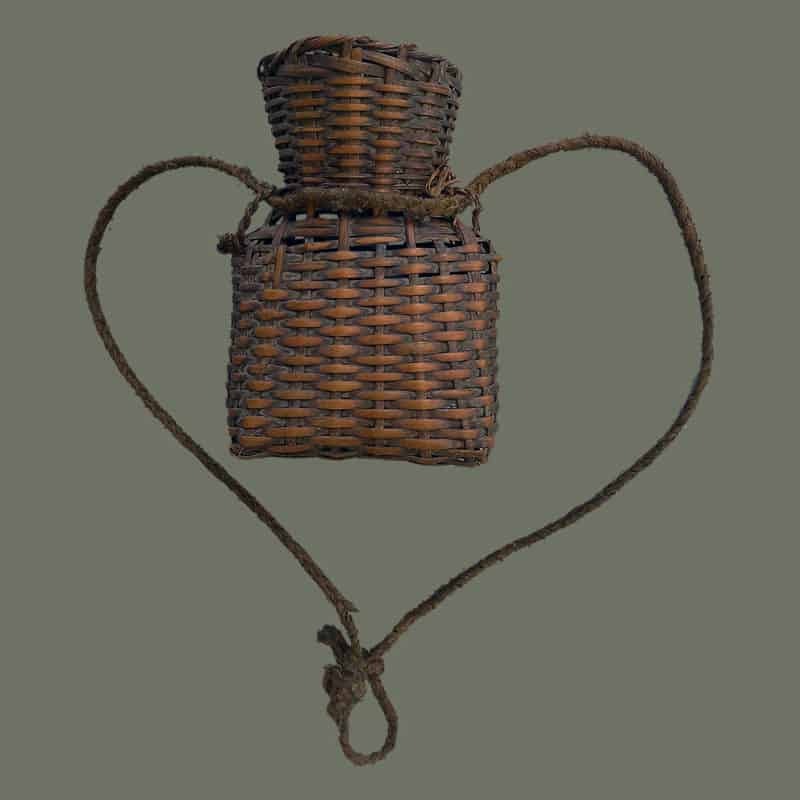 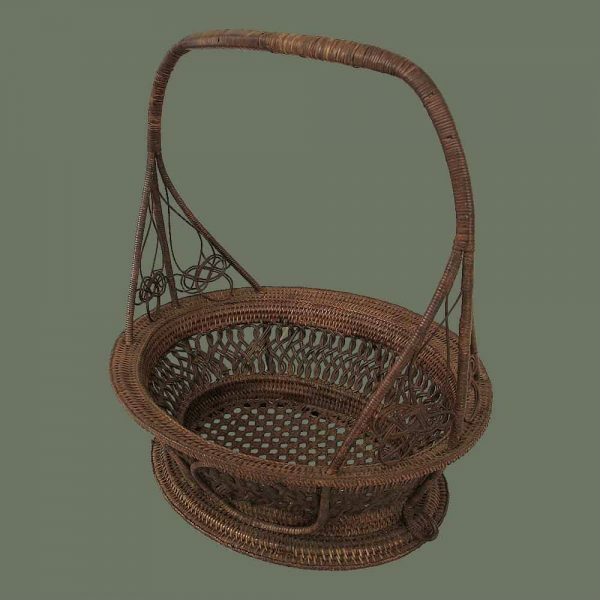 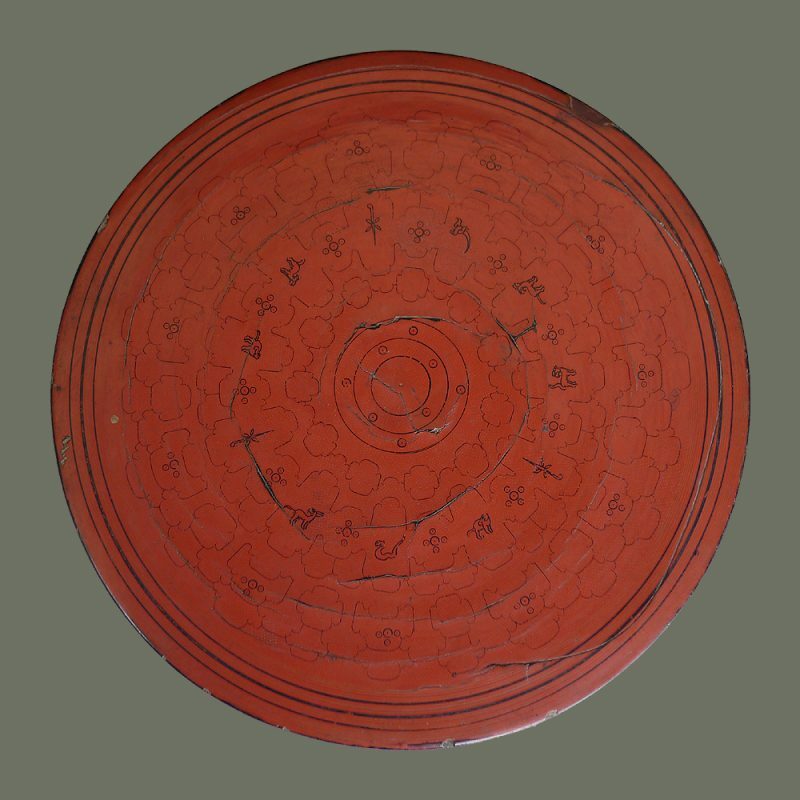 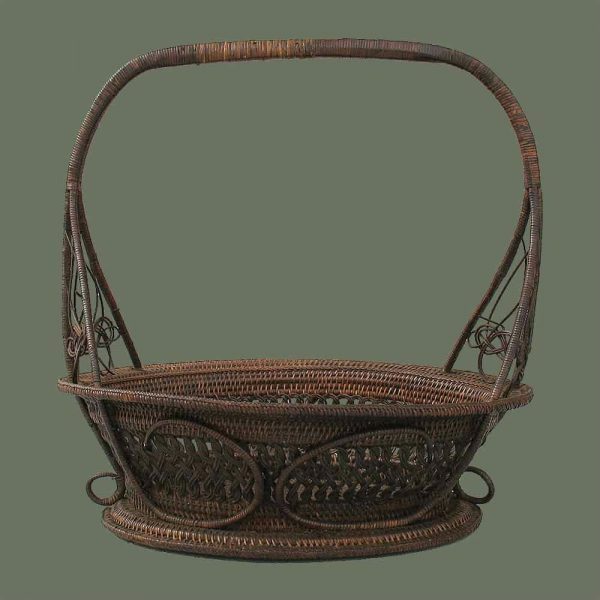 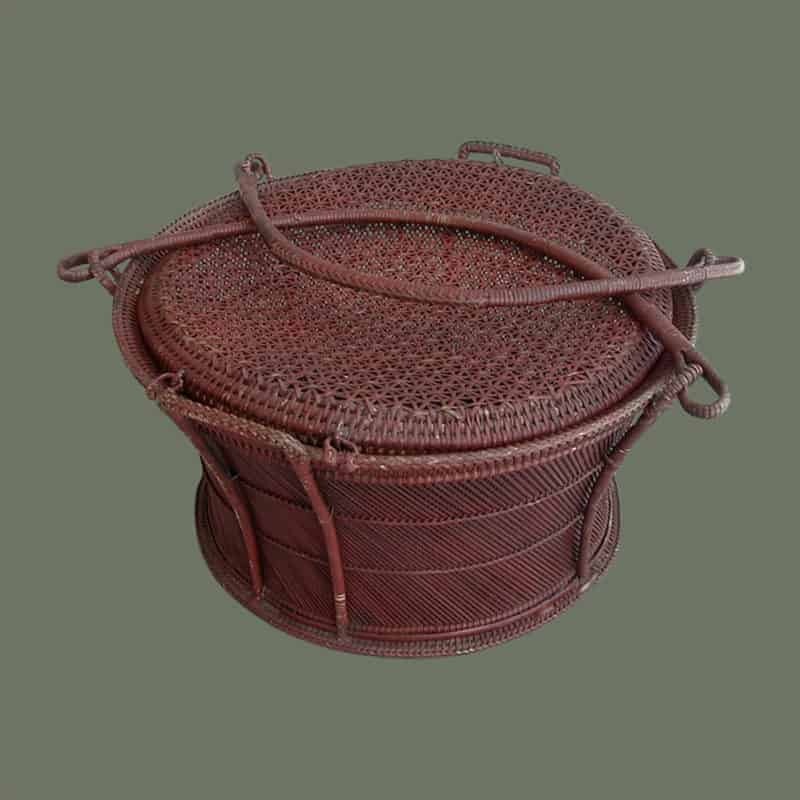 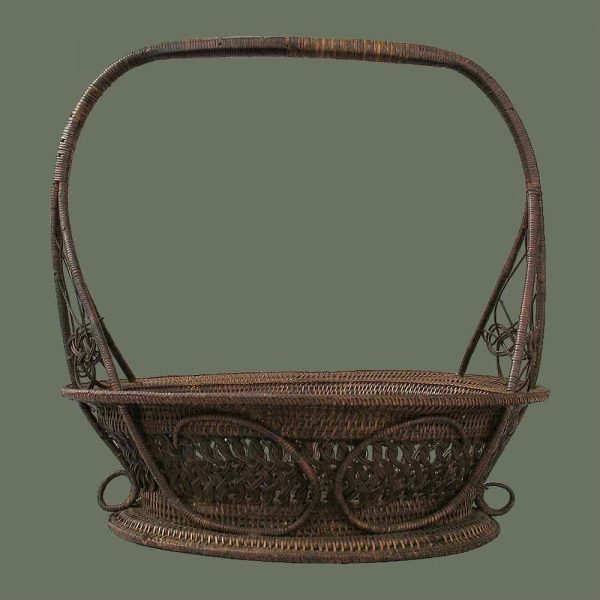 Of the style called 'flower basket', and used by women to carry flowers to the temple for ceremonies, this lovely old basket has some nice details such as the plinth-like base, different weaving patterns, and decorative inserts at each side of the handle. 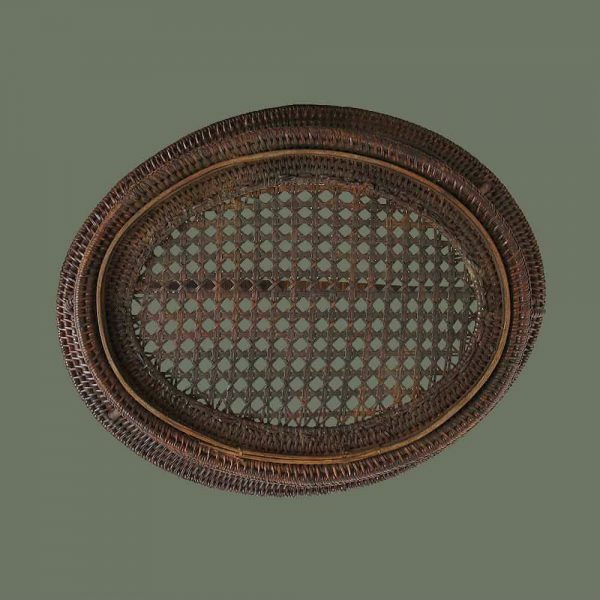 Condition is quite good and the patina is golden and lovely. 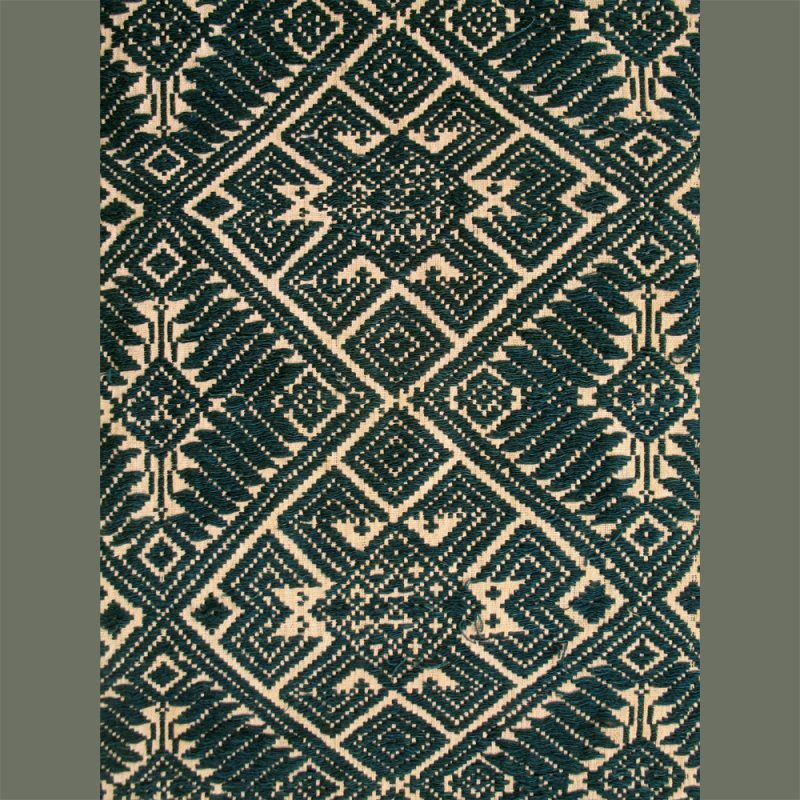 This is a fine example of the genre.